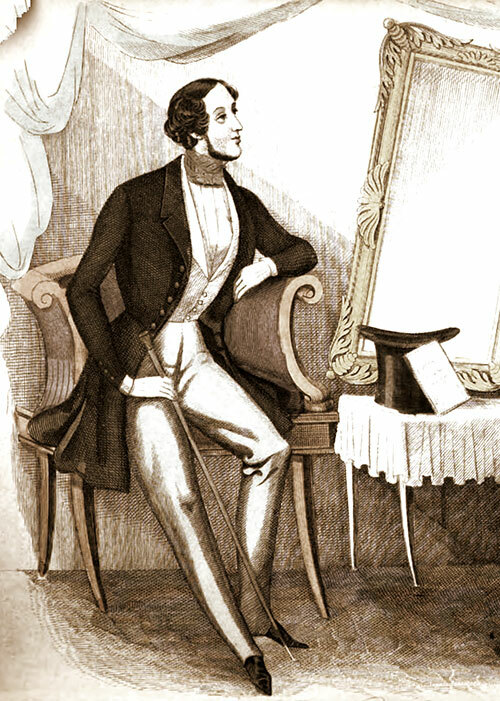 "Indoor Outfit of a Howling Swell" -- street garments of the well-to-do leisure class Victorian gentleman are costly enough, but there are numerous special garments—chamber garments, so to speak—in which these gentlemen are exceeding curious and lavish. Colorful fashion prints showing men's clothing from 1803 - 1830. 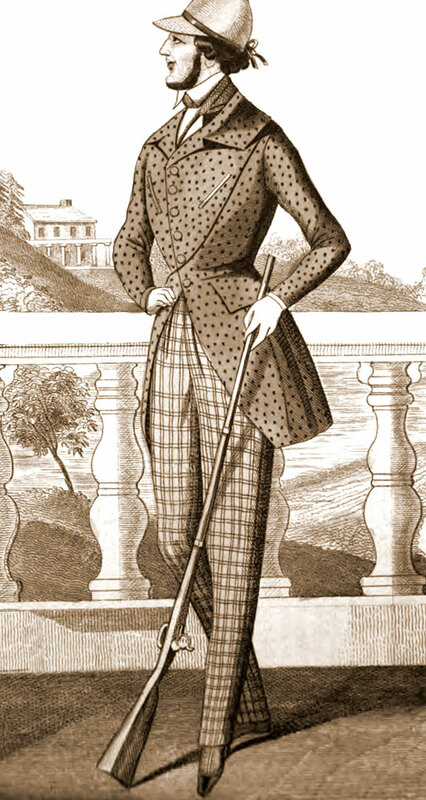 Colorful fashion prints showing men's clothing the years of Pride and Prejudice, 1811-1812. 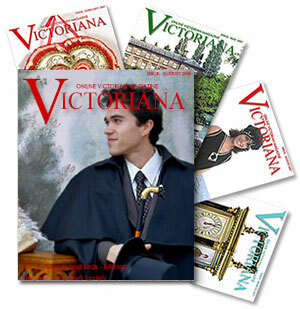 Auction catalog with descriptions of royal clothing. A reprint of a 1937 auction catalog of clothing worn by British Royalty in the 19th and early 20th centuries.